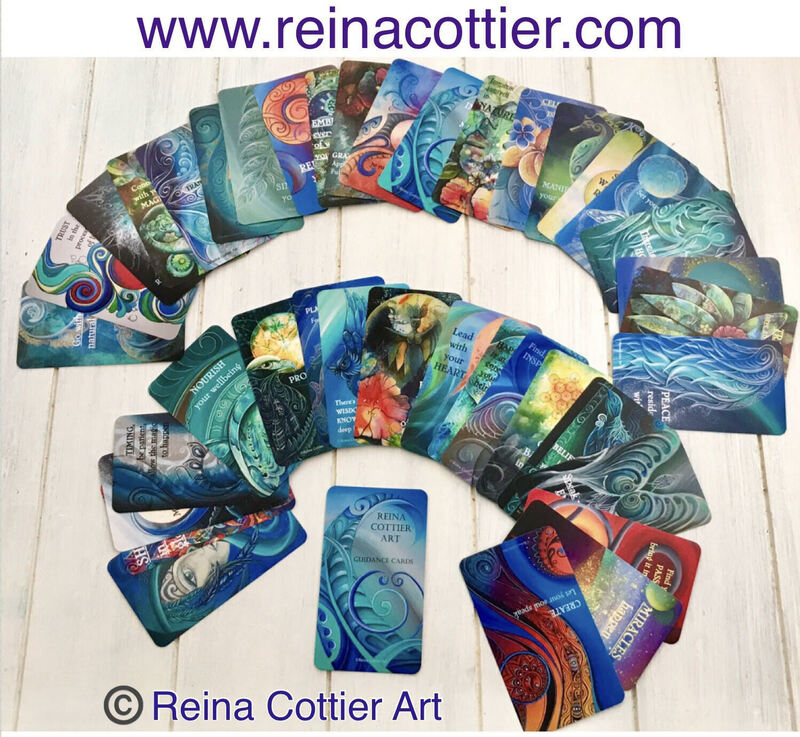 Lots of news to share with you in this post…. 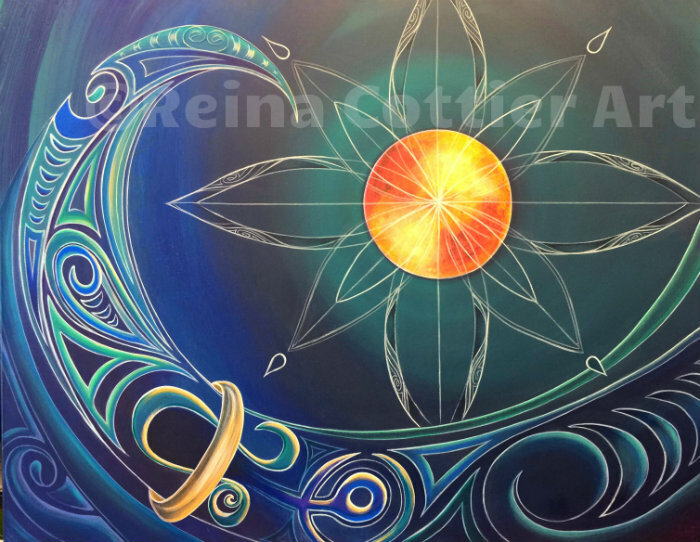 ….Finished painting for commission “Band of Gold” . 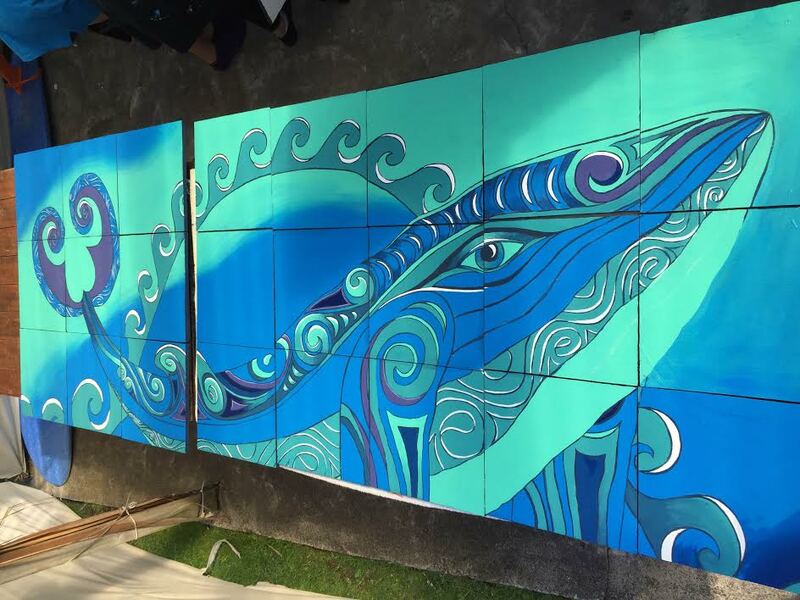 Im also helping students at Tairua School do a whale mural for the school pool wall. progress is going well, with only detailing left to do, here is a part pic of it, not complete. 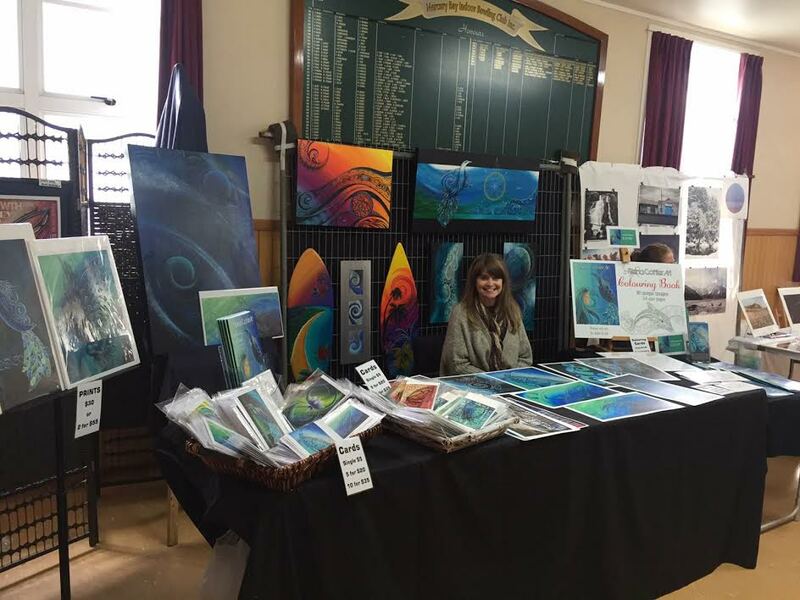 And last week, I had a stall at the Whitianga Art and Craft Fair… again, very successful, and alot fo fun. 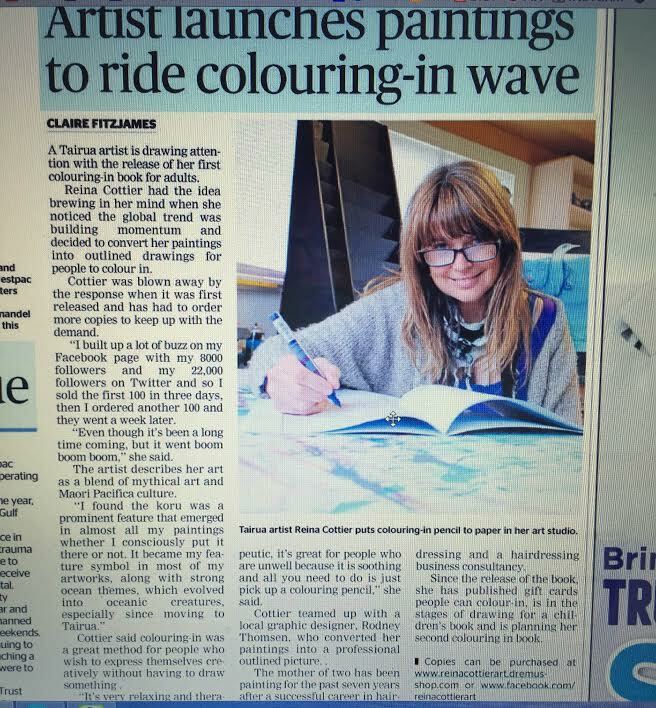 Met some awesome local artists, and sold plenty of prints, colouring books and cards. cant really ask for more than that really, very pleased with the results. Oh Well done – congrats on all of your accomplishments and sales – beautiful work as always!